Afghanistan - In response to the recent dramatic increase of Afghans returning home from neighbouring countries, as well as record levels of internal displacement, IOM is launching a new displacement tracking system in Afghanistan to better understand population movements and needs. The sudden return of more than 600,000 registered refugees and undocumented Afghans from Pakistan, coupled with the conflict-induced displacement of over 623,000 people in 2016, could induce a severe humanitarian crisis. 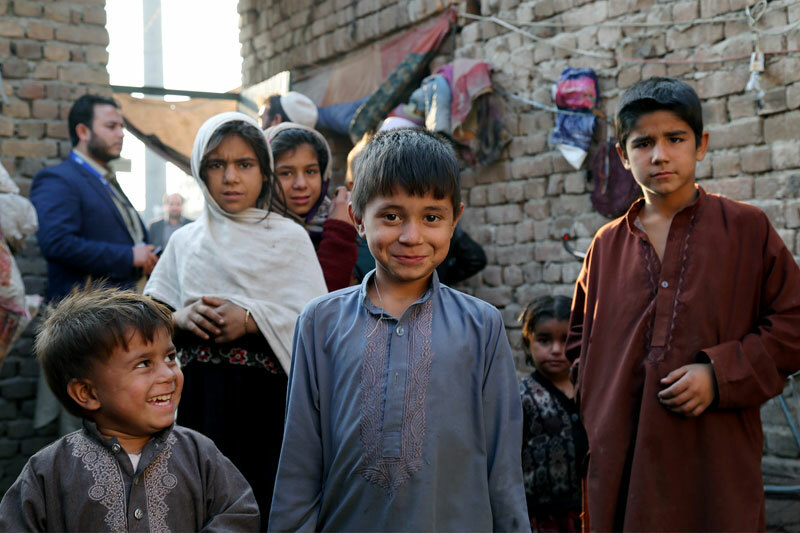 In 2017, a further 1 million Afghans are expected to return from Pakistan and an additional 450,000 people are expected to become internally displaced due to the ongoing conflict. Large-scale returns and intensified conflict, combined with rapid urbanization, have intensified the strain on already overstretched local services. Further compounding concerns is a lack of clear information on the location and needs of people who have returned from outside Afghanistan or those who have been forced to leave their homes. Drawing on over a decade of experience in tracking vulnerable populations and helping ensure the targeted delivery of aid in Syria, Iraq, South Sudan and other countries facing both conflict and natural disasters, IOM will launch the Displacement Tracking Matrix (DTM) in Afghanistan next week. The Displacement Tracking Matrix (DTM) is a system that utilizes a variety of tools and processes to track and monitor population movement during crises. It regularly and systematically captures, processes and disseminates information to provide a better understanding of the movements and evolving needs of vulnerable populations, whether on site or en-route. The first phase of the DTM in Afghanistan will put a framework in place to track various at risk populations in Nangarhar, Laghman and Kunar provinces. A two-day training on the DTM for provincial team leaders and district focal points from these areas kicked off in Jalalabad on Tuesday, 24 January. IOM staff working in these provinces will consult with community leaders and elders, national and local authorities and previous registrations and assessments. They will also conduct visits in person to form a comprehensive picture of the estimated number of returnees from abroad, internal movements and needs and conditions at the village, district and provincial levels. Data collected under the DTM will be processed, consolidated and shared on a consistent basis with the Government of Afghanistan and other humanitarian actors to flag urgent concerns, facilitate the delivery of assistance and help plan for durable solutions. Following the successful implementation of first phase, IOM Afghanistan will expand the DTM’s coverage to other provinces with significant numbers of returnees. Funding for the DTM in Afghanistan is provided by the governments of Germany, Japan, Norway and Sweden. Learn more about the DTM worldwide at http://www.globaldtm.info/. For further information, please contact Matt Graydon in Jalalabad, Email: mgraydon@iom.int, Tel: +93729229129.